Happy Museum Monday everyone! 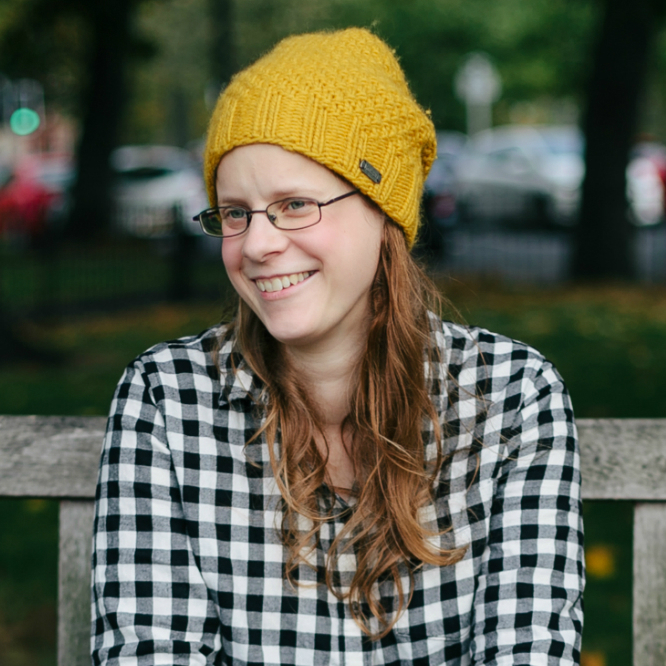 I’ve been getting quite a few questions about the Museum on the Mound in Edinburgh, after featuring it in my <24 Hours in Edinburgh> guide last week, so I thought I’d do another dedicated Museum Monday post about it with a more in-depth review. 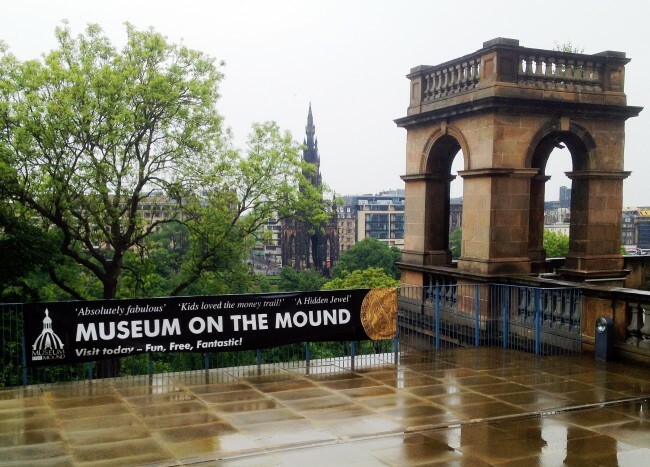 I have to start by saying, that I always think the Museum on the Mound does itself a bit of disservice with its name. Behind the rather nondescript moniker – after the street the museum is located on, i.e. The Mound – lurks a fascinating little gem of a museum all about the (hi)story of banking and money. The museum opened in 2006 and is housed in the Bank of Scotland’s former headquarters in the city centre. Not that long ago, it was announced that the museum would be closing, but after a huge public outcry the powers that be reversed their decision and the museum was saved. 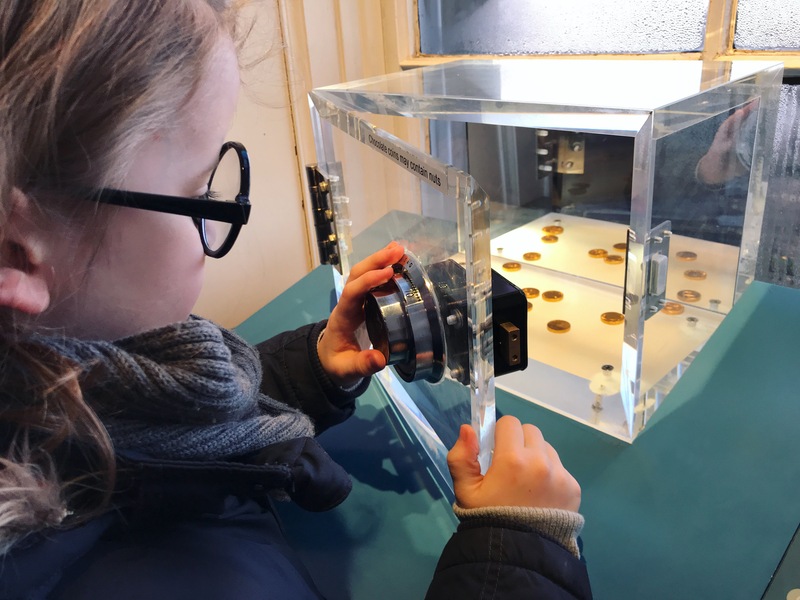 Billed as “fun, free, fantastic!”, the Museum on the Mound not only introduces visitors to money and coinage it all its various shapes and forms, but also features trade and technology, security and crime, art and design. 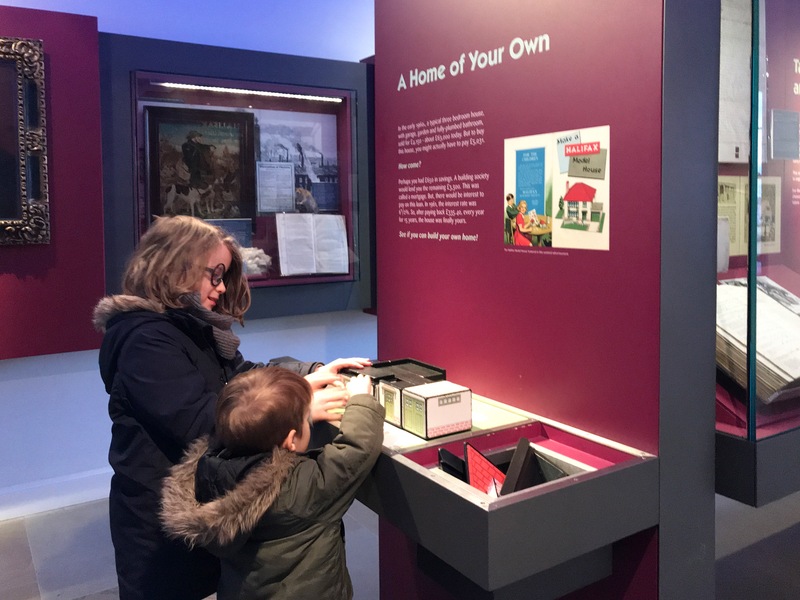 The two rooms <A Bank for Scotland> and <The Bank on the Mound> tell the history of the Bank of Scotland since it was founded at the end of the 17th century, and how it has changed over the hundreds of years since, including the history of the building itself. 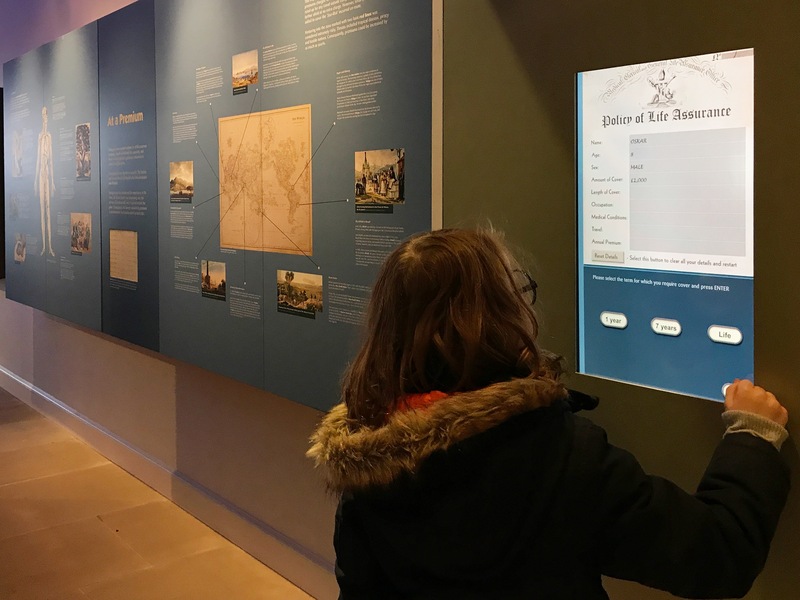 Touch screens enable visitors to interact with historical maps from the 17th to the 20th century, or you can challenge yourself to see how quickly you can build a model of the bank yourself. 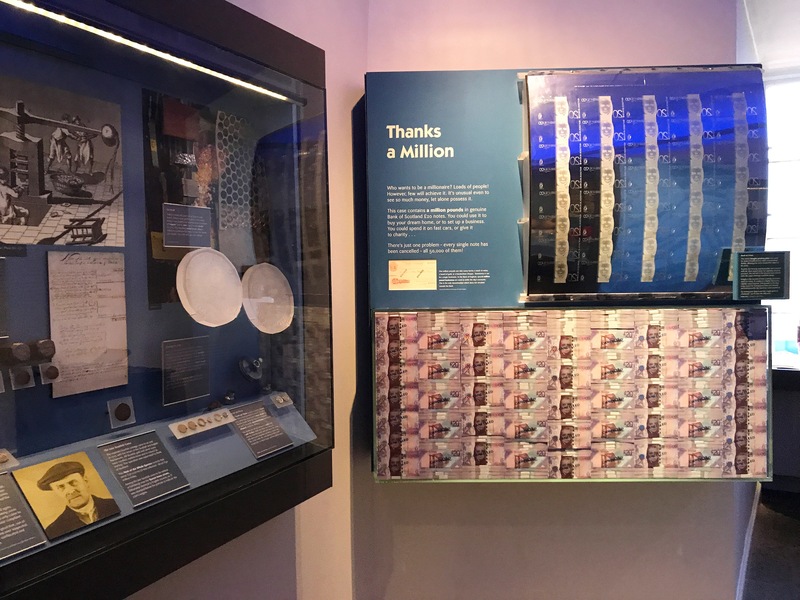 <Money Matters> is at the heart of the museum, and touches on questions such as what is money and how is it made. As well as the coins and bank notes you would expect, you’ll also find other things used as money around the world, such as shells or feathers. 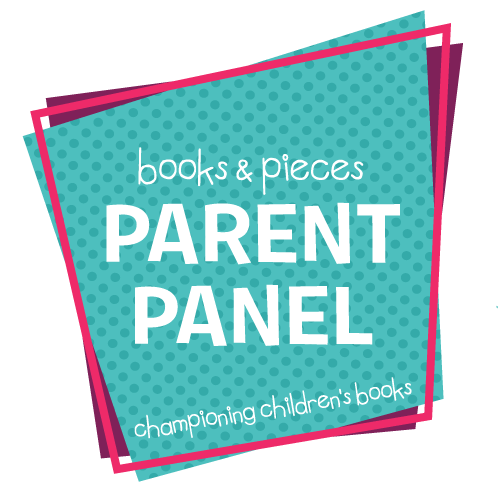 Other highlights include a giant electrotype you can touch, a safe you can try your hand at cracking (and chocolate coins as a reward if you are successful), and one million pounds on display! 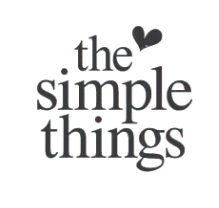 The following two rooms take a look at banking and security, in terms of building societies and life assurance. 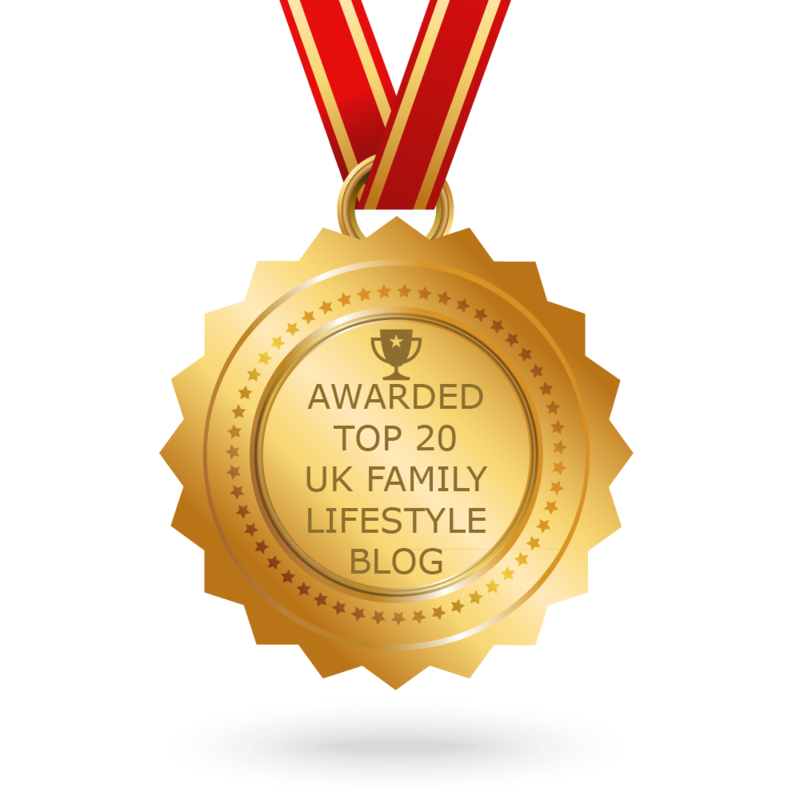 Learn about how building societies and the culture of home ownership developed, and how illnesses and diseases impacted on the cost of life assurance policies. 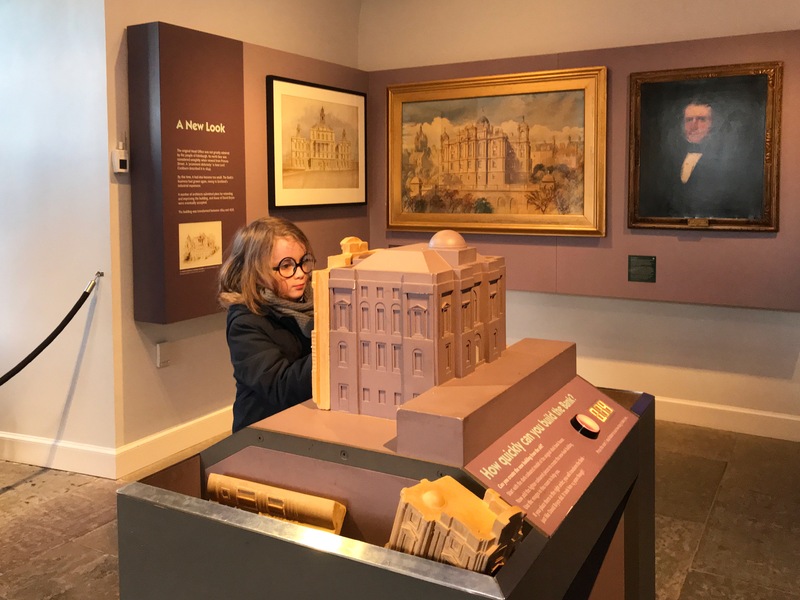 You can try your hand at building your own (model) home, and apply for an 1820s policy – which you can then pick up as a print out at the front desk on your way home. 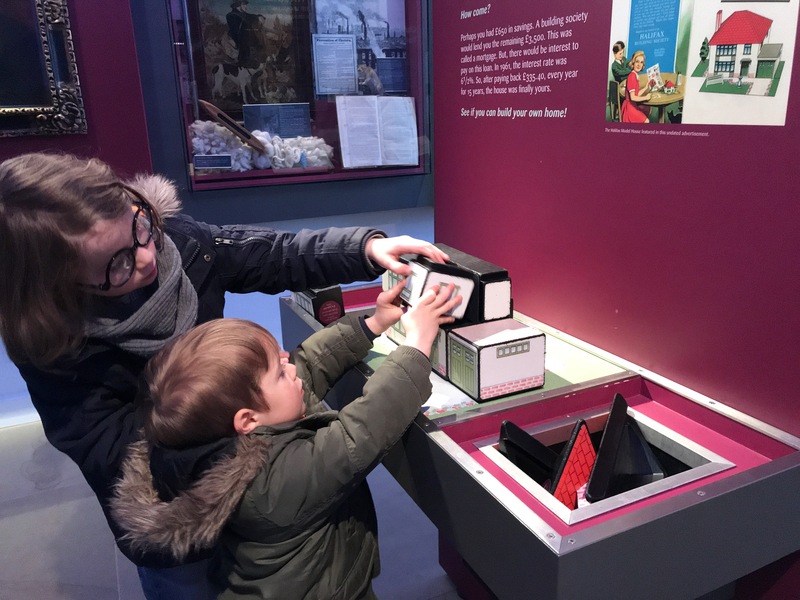 Finally, in <Making It Work> you can find out about what life was like as a bank employee in the 19th century and over the years, and there’s also a space for hosting special exhibitions over the summer months. We spent just under an hour here, and the boys really enjoyed themselves. There’s a trail for kids too, which helped to keep them engaged. You can pick up a free booklet for the trail at the info desk, together with a pencil and some crayons for a brass rubbing activity that’s included in the trail. On completing the trail, they got they booklet stamped and received a free postcard each as a reward. 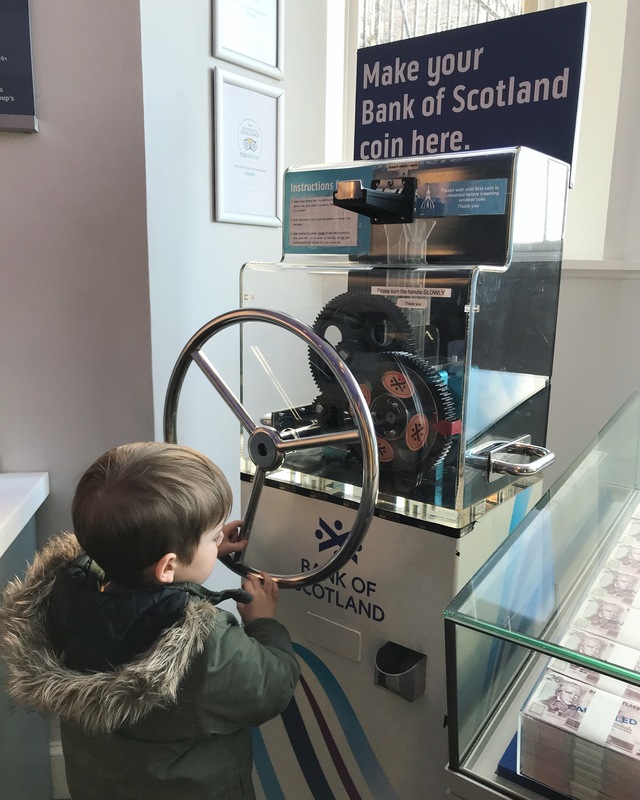 There’s also on of those penny squishing machines in the entrance of the museum, and unlike at other tourist attractions you don’t need to pay extra to use it, it just costs you the penny, so both boys had a go at squishing a souvenir penny to take home. 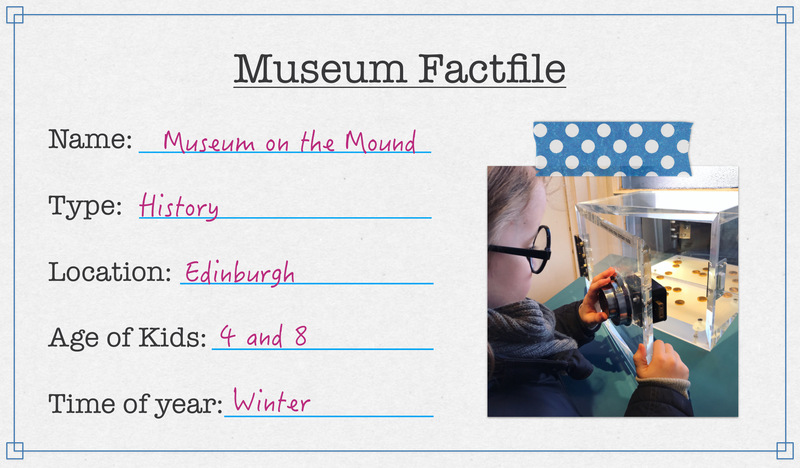 The Museum on the Mound is open Tuesdays to Fridays, and on Saturdays and Bank Holiday Mondays in the afternoon. 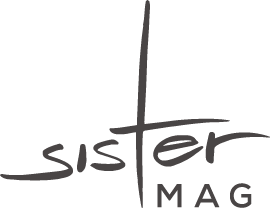 You can check for up-to-date opening times on the museum website. Admission is free! This looks like a great day out. 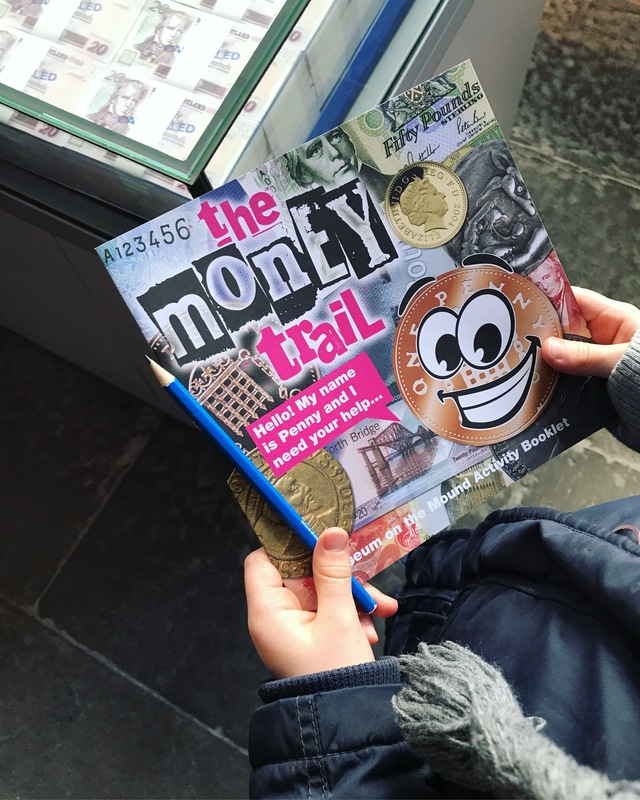 You don’t generally see a lot of museum areas dedicated to financial history so this would be a good thing to take your kids to I think! my daughter visited this museum recently with her class ( kind of wish i was a teacher now hehe) and she absolutely loved it ! I think this would be a really interesting museum to visit. I love the idea of the safe. This looks like a different day out and I’m sure the smalls love the children’s trail. My daughter would love it! This sounds like a really interesting museum to visit. 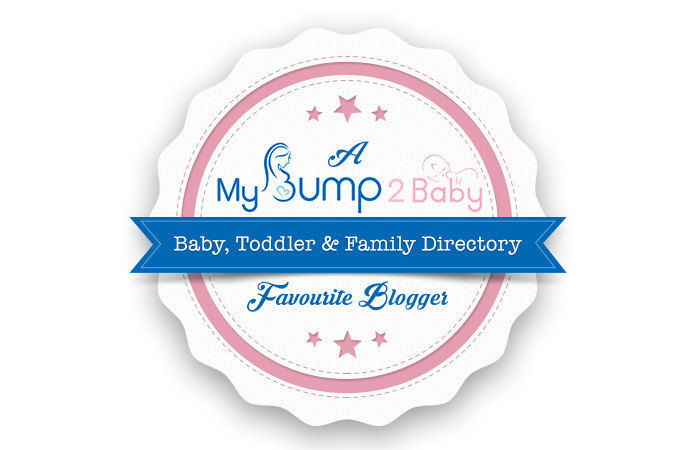 I love that it’s not just about coins etc and has lots of information on home ownership etc. Sounds like a great free day out.